Local reports tell of the fate that befell the Gourdon boat the Bella in September 1916 when she encountered a U-boat off Catterline. Bella was sunk and the crew were taken prisoner and interned in Germany for the duration of the war. Full details are given in the webpage devoted to the Bella. 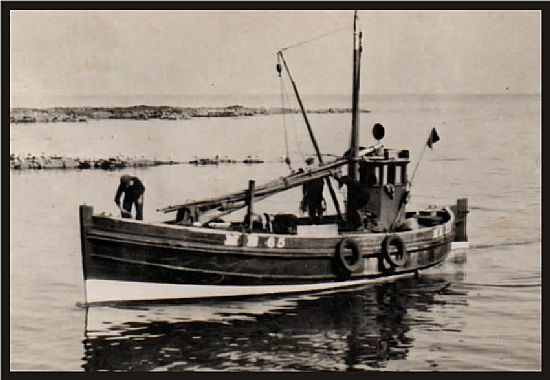 The story continues that the crew on their return from Germany at the end of the war procured a new boat named Look & See which they renamed Happy Return. Thanks to diligent research by Celia Craig and the generosity of Robert Ritchie we now have a photograph of Happy Return. 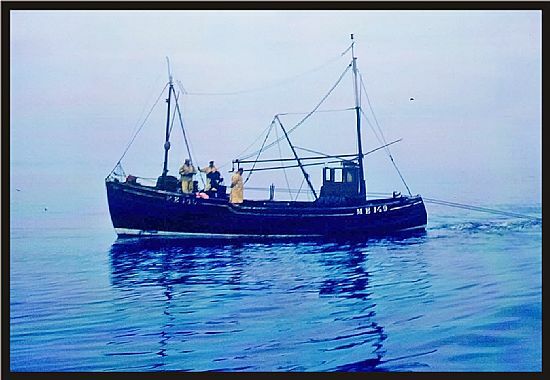 In 1950 Happy Return was replaced by a second boat, Westward, which was renamed Happy Return ll. Celia and Robert have also supplied the photograph of Happy Return ll which appears below. 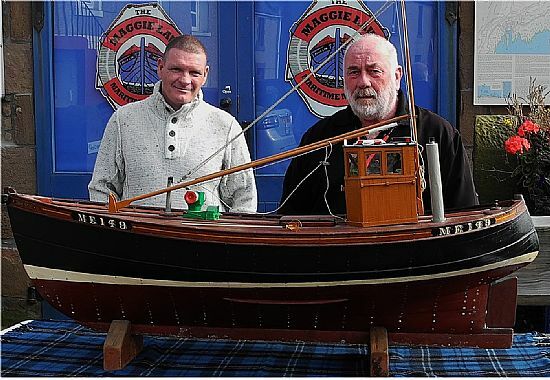 To complete the record the museum also has a fine model of Happy Return ll which was built by Edward Ritchie and donated to the museum by Alan Ritchie in 2015.